There are 2 main aspects to updating Spider. The first is the copying of files to the web application’s folder structure. The second is to execute a series of SQL Scripts against the database Spider is using. 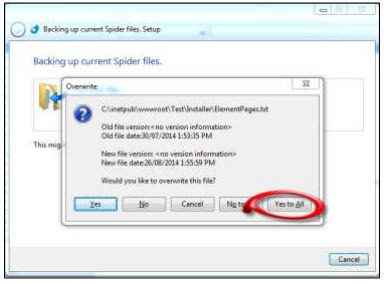 The installer can be downloaded from: http://www.pcschool.net/support/updates-downloads/ Download it to the computer on which Spider is installed on (IIS server). Extract the file and run the executable file contained. The initial “Important Information” advises users of any requirements that are necessary. By default, the installer will assume that the SQL Server is on the same computer as Spider. 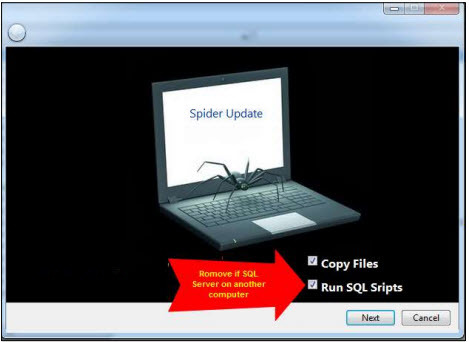 If this is not the case, remove the tick from “Run SQL Scripts.” During the update process, a copy of the previous files are copied to a “Spider Backup” folder on the root of the IIS server. The first time installer is run, it locates the root of the “Default Website.” From here, you need to browse to the “Spider” folder (the name of this folder will vary from school to school). In some instances, Spider may be installed elsewhere. In some cases, this path may have been hidden so a mapped drive will need to be created in order for the installer to locate it. The mapped drive will need to be set one level behind the Spider folder in order for “Backup” folder to be created. Once successfully located, a registry key is written to store the location for next time. A check is done to see if the installer files are newer than the current Spider. If your Spider version is newer, it will not allow the install to continue. If the installer is same version or newer, you can continue with the update. The first part of the update process backs up the current “Spider” into a folder called “Spider Backup” at the same level as your Spider is installed. The archive file is called Spider[version] Date_Time and can be used for recovery purposes. Once this is successfully completed, you may be prompted to “Overwrite” files. Answer “Yes to All” to this prompt. When this process completes, all of the application files have been updated. Templates are not overwritten although they may be updated at times. If this is the case, the original is renamed to allow content to be copied to the new version. A copy of the original web.config is made (web.bak) in the root folder. If you unselected “Run SQL Scripts”, the installer will end here. In order for Spider to operate, however, it is critical that the matching SQL scripts run. IMPORTANT: If SQL Server is on another computer, copy both the installer and the newly created web.config file to it. The installer needs the new web.config to extract the current version as well as match the correct database to the newly updated Spider. When running the installer on the SQL Server, unselect “Copy Files” as this has already been done. Prior to executing the scripts, the installer backs up the stored procedures. Currently there are 2 scripts externally run scripts, as well as several internal scripts. If there is an error during their execution, you will be prompted for a course of action. In the example below, the sp_functions script has encountered an issue. If you choose to “Abort” the process, the installer skips all other processes and jumps to the “Finish” screen. If you choose to “Re-try”, it will attempt to run the scripts again. If you choose “Ignore”, the installer will continue with the next set of actions. Any errors are stored in a log file for later analysis. IMPORTANT: You MUST contact PCSchool if you encounter any errors during the script running process. Although the installation will complete, the Spider will not be functioning correctly. To see what version of Spider you are on can be done before or after you login. The first login takes some time as the Spider re compiles so it is best to ensure you login first once updated. 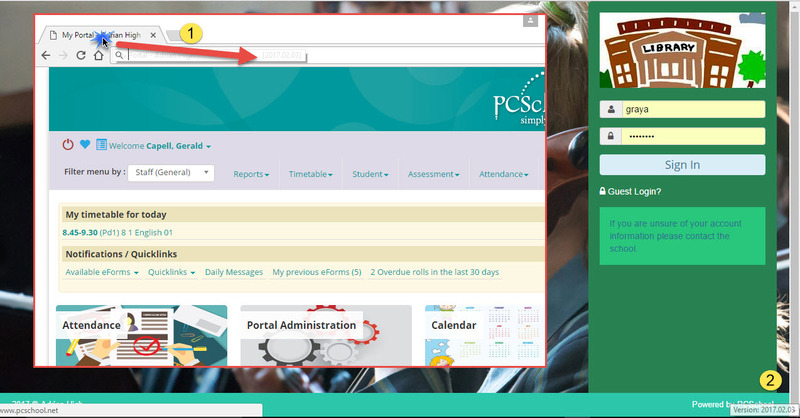 Once logged in, check the following 3 controls; Student Information (ensure students information displays correctly), Absence Entry (check a roll can be generated) and Result Entry (Check to see if the screen loads without error). You may not be using all of these controls and some may have been renamed. If this is the case, just test the ones the staff regularly use. If there are any issues, please contact PCSchool immediately.